Leo's Thai Kitchen Expands! 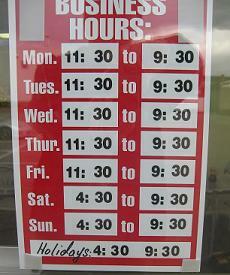 With Regular Hours Too! One of Charlottetown's best downtown restaurants, Thai Food by Leo, expanded this weekend to 375 University Avenue (the old Niko Video/behind Source for Sports/beside Macaulays's Bakery & Deli). 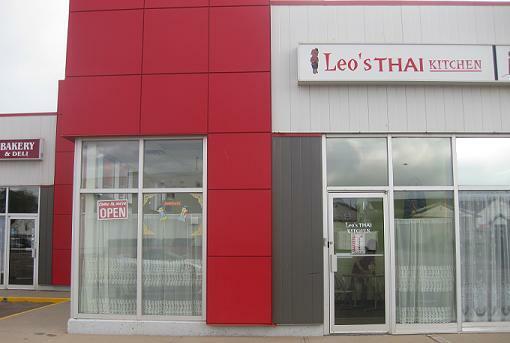 The new location has a sign saying Leo's Thai Kitchen and has seating for 25. When I saw the announcement online, I immediately called and ordered up some Pad Thai! Upon arrival Leo greeted me by the door and introduced the location! He said his wife will be still working downtown and will have normal hours except for weekends when he opens at 4:30. To celebrate his new location he included a piece of pie. The best part about the expansion is this location is going to have more regular hours including being open daily till 9:30PM! The phone number to Leo's Thai Kitchen on University Ave is 892-8952.